Water to mix to a paste. A rainy Sunday morning providing the perfect opportunity to try it out. 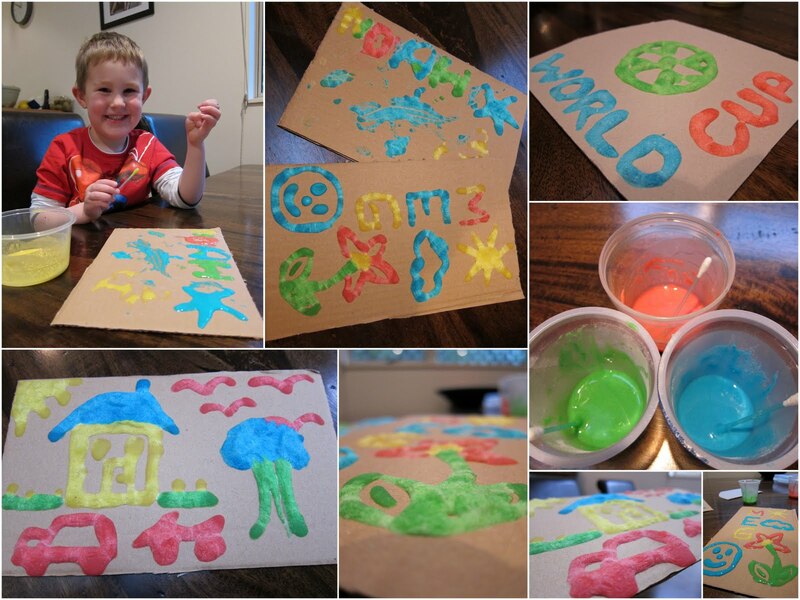 Once your masterpieces have been made, just pop in the microwave for 10-30 seconds and funky puff painted pictures will pop up! This is a super idea! Thank you and what gorgeous works of art!